Think about your old photo collection. Chances are you have a pile of photo albums, shoe boxes full of memories, and half-finished scrapbooks that are sat in your closet just gathering dust. This is the sad reality for many of our treasured memories now that our lives are increasingly being stored on our phones. Imagine if there was some way that your dusty collection could be stored on your phone alongside your snapshots from last week. The good news is that you can transfer all of your old photos onto your brand new device without having to be a computer whiz, thanks to photo scanners. Once you start scanning you will never look back but, if you are overwhelmed by the choices available, we are here to help. We have done all of the hard work so you don’t have to. If you don’t know your laptop from your desktop or you think there is nothing you can do with that collection of negatives, our photo scanners review can help you to decide which product is the best for your needs. You can also feel free to like any of our social media pages and read our open report to review all of our findings yourself. The only thing you will have to worry about is which photos to start scanning first. We have been researching and reviewing photo scanners for years. So far we have researched over 100 photo scanners and conducted 90 hours of research to find the best photo scanners available on the market today. Not only have we personally tested each scanner on our list but we have also looked at the usage data of real users, just like you, to find out exactly what real people think is the best photo scanner available. Our priority is to find the best possible quality at a reasonable price. We will never promote any individual brand. We aim to find the top rated photo scanners so that you can make an informed choice and find the photo scanner that suits your own individual needs. We know that what works for one person might not work for everyone. This is why we have compiled a top ten list for this photo scanners review that has been thoroughly researched and tested. For each photo scanner in our list, we have created in-depth, unbiased reviews so that you can see which product is right for you. Based on our strict standards and rigorous testing, we have found the most cutting-edge, affordable and practical photo scanners available for every need. A photo scanner is a machine that is specifically designed to scan and print all of your photos, slides, and documents. Using highly engineered electric lasers, they will translate your picture to a high-resolution digital file that is ready to print or share online. Most scanners are operated by your PC or Mac, but there are several models that will work with your smartphone and cloud storage as well. Of course, there is more to photo scanners than just scanning. If that is a little confusing, think about what your own needs are. Do you want an all-in-one that can print as well as scan? Are you looking to scan negatives and slides? No two scanners are entirely alike, each offering different features. Luckily for you, we have done the hard work and tested these scanners for our best photo scanners review. Read on to find a breakdown of features, as well as our own tailored reviews to help you find the best photo scanner for you. What Are the Points to Focus On? The number of features a scanner has. Depending on your needs, you may need a higher or lower number of features. For office use, more features often give you a better all-rounder. On the other hand, a low number of features can indicate higher quality in the tasks that it can perform. The number of pages it can print at one time. If you want minimal supervision even when printing long documents, a higher page capacity can be very useful. Printing speed and optical resolution of the print. Sometimes it is necessary to sacrifice speed for quality, so think about how much time you want to spend and how important high resolution is to your needs. If you need both, you may need to be prepared to spend a slightly higher amount. Budget models offer high speed at the cost of quality but are usually fine for casual use. Most models offer Wi-Fi connectivity, but if you want to print from your phone, some machines are more equipped for this than others. All of our models operate on at least PC and Mac so whichever platform you prefer, it will be possible to use these printers. A smaller model is easier to move around. If you want to be able to move your scanner around easily, a smaller model will be more portable. Some designs are easier to clean and maintain than others. Read our care and maintenance guide to find which design will work best for your maintenance needs. There are two key types of photo scanner. Here we have broken down the key differences for you. For at home usage, a flatbed scanner offers you great value. Smaller in size than their Jumbo counter-parts, they will fit neatly in any home office setup. Not only do they take up less space on your desk but they also generate less noise for a quiet working space. With bigger size comes a greater number of features. If you have a lot of documents and photos to scan, a jumbo scanner might be the option for you. These heavy-duty scanners are designed to offer a greater number of functionalities and cope with a higher workload. Jumbo scanners are ideal if you are looking for a machine that can not only scan but photocopy, print, fax, and store your files to the cloud all at the touch of a button. If you are a little hesitant to splash out the big cash on a machine that only does one job, a multipurpose scanner might be more suited to your needs. They often cost a little more but are great value for all of the features available. 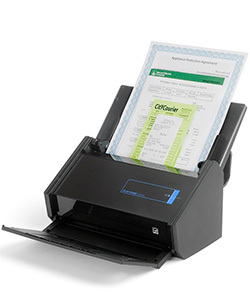 Scanning – All of the scanners on our best photo scanners review are capable of scanning. Some are more specialized than others, scanning slides and negatives as well as photographs and documents. Photo copying – If you often find yourself heading out to the copy shop, a built-in photocopier can be incredibly handy. You will be able to copy all of your documents and other copying needs from the comfort of your own home. Printing – All of the jumbo scanners in our top photo scanners review list come with printing capabilities. Some have better print quality than others, so make sure you check out the printing specs if you plan to use your scanner for a lot of printing as well. Cloud printing – For everyone like us who can’t put their phones away, cloud printing is a great feature that will let you print documents and photos at the tap on the screen. Duplex printing – To save money on paper, or just to save space when printing multipage documents, duplex printing allows you to print on both sides of the page. This is a great money and space saver so check to see if your preferred scanner can handle this. Editable document creation (Using OCR technology) – If you prefer to send forms online rather than in the post, OCR can help you fill in forms online and send them by email by creating an editable text. Also useful for any other text that you want to scan and edit on your computer. What Are the Best Qualities of a Good Scanner? The higher the number, the more features a scanner has. If you are just looking to scan your old photos onto your computer, you may be happy with a lower specification (but more specialized) machine. However, if you are looking for an all-rounder that can offer more features, a higher specification model may be for you. 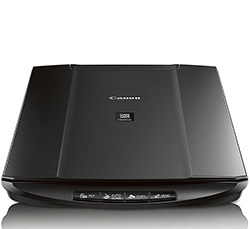 For home usage, a scanner with a slim and flat body will be ideal for a small workspace. On the other hand, heavy duty and larger scanners are ideal for business use, with a design that is focused on delivering high quality with heavy usage. It is also worth remembering that the maintenance and cleaning of a scanner depends on the design. The DPI (or dots per inch) of a scanner affects the quality of your printed image. For crisp and clean prints, a higher resolution or dpi will ensure great quality images every time. There is nothing worse than booting up your scanner only to find that it has stopped working. A good scanner should be built to a high quality, providing a great look, feel and longevity. A well-built product with a good warranty will ensure that your scanner is ready to go as soon as you are. The performance and speed of scanning and printing is one of the most important features of a scanner. The ideal scanner will work quickly but still provide great resolution scans and prints. Depending on your personal needs when choosing a scanner, you may also want to look for models that feature bigger paper trays, high-resolution printing, duplex scanning capacity, Wi-Fi capabilities, cloud command, or even more. Not every model will have every feature so, if low energy consumption is a must for you, make sure you check for this in our top photo scanners review. We believe that you shouldn’t have to be an expert in specifications and design to know which scanner will work best for you. That’s why we have conducted practical testing so that you can see how each product will fit into your home or office. We have spent more than two years dedicated to researching and testing these devices so you know that you are getting an expert opinion. Out of 90 scanners available on the market, we have tested 60. All of these scanners have been tested to the highest standards over a period of close to two months. To help find you the top photo scanners, our team of volunteers personally tested each scanner to understand how well they work for real people. By testing in this community-based usage style, we identified the strengths and weaknesses of each model in a real-world environment. When preparing this photo scanners review, we have tested around two-thirds of the scanners available and based our analysis on 30 key features and specifications including design, scanning speed and user-friendliness. We have made sure to check every special feature, including connectivity, USB connection and noise generation, as well as resolution and OCR capabilities for more professional usage. To ensure that your scanner will serve you for the longest possible amount of time, we have also included longevity and warranty in our analysis. If you ever want to check out the data behind our top-rated photo scanners review, don’t forget to like us on social media and read our open report. The reason we have tested so many factors is because all of these different features can make a difference on the overall performance and even the lifetime of your machine. Of course, none of the products we have tested was perfect because you want a scanner that works for your own unique needs. With this in mind, we have selected the best 10 scanners on the market today for all around usage, beginners, and advanced users. We have analyzed the 30 most important features for each scanner in our top ten list. Our research report is open to our readers because we know that you want all of the information to help you choose the best product. If you want to read our report, just like any of our social media pages to view it yourself. Easy to use even for first-time users! This Canon all-in-one printer does all of your scanning, printing and faxing needs for a very low price. It’s built for heavy usage so you can print as much as you want. 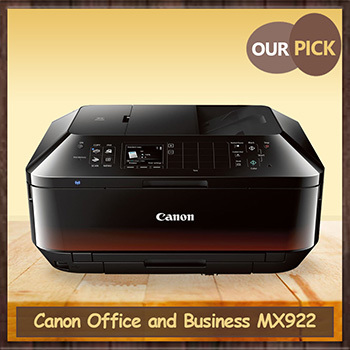 You must be wondering exactly what made the Canon Office and business MX922 All-in-one Printer our top pick. So before I jump into the review of this scanner, let me begin with the reasons why this model is our pick. This scanner may not have the most possible features of all of the products on our list, but it offers some of the most useful features for your scanning needs. As you will see if you check out our report on our top-rated photo scanners, this model has a great resolution at 9600 x 2400 dpi so your photos and documents will always be crisp and clean. The addition of built-in Wi-Fi and Google cloud storage capacity will make sharing and storing your files simple and easy. Even with all of the features the MX922 offers, the price is still great for anyone looking for an affordable all-rounder. If you are looking for a great quality scanner at under $100, this scanner is on budget without compromising on features. This scanner has received ratings at an excellent rate. We compared the rating frequency of each product on Amazon. The most recent 30 ratings show the highest rate of any product on our list, with the first 10 ratings in two days, the second 10 in 2 days and the third 10 in just one day. With regular and frequent reviews, it is easy to see that this is a popular and high-quality scanner. With great special features like Wi-Fi connectivity, auto duplex scanning, and the unique 5 individual ink tanks, this is one of the highest spec printers available for such an affordable price. 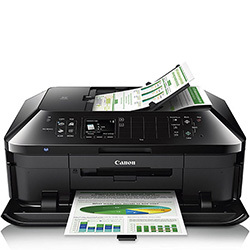 Canon Office and business MX922 All-in-one Printer has tons of great built-in features that are unmatched in its price range. If you are looking for a single machine that can deliver all of your scanning, printing and even faxing needs, this all-rounder has some of the best features that you will find without spending some serious cash. Firstly, I cannot emphasize enough how easy this printer is to use. The paper and ink cartridges are easy to replace and the software for the printer is intuitive and clear. Many features such as duplexing and document feeding are automatic, so require minimal input from the user. This is a printer that you can pretty much start using out of the box. The Wi-Fi connectivity means that you can operate it from your PC or Mac anywhere in the house. I was pleasantly surprised to find that the printer also supports AirPrint, meaning I could print photos directly from my iPhone and iPad, as well as my Mac. But Android users have not been forgotten. The free Canon app allows Android phone and tablet users to print photos directly from their phone, as well as operating other features such as scanning and faxing. The print speeds of the MX922 are also very impressive. It can produce black-and-white documents at a rate of 15 pages per minute, and color documents at an impressively speedy 10 pages per minute. Automatic duplexing, where the printer will automatically print on both sides of the page, is also a great feature for the environmentally conscious that also saves you money on paper. The 5 individual ink tanks are also great for economizing on ink – usually one of the biggest cost factors in running a printer. If you are looking to print as well as scan, the MX922 is one of the most cost-effective both in terms of up-front and running costs. The printer is built for fairly heavy usage. Home users and small business owners will have no problems using the MX922 for all of their printing and scanning needs. The printer easily prints dozens of documents a day. However, this model is not really cut out for handling huge volumes of prints every day. Larger business owners may need to look elsewhere to find a printer that can handle printing all day every day. 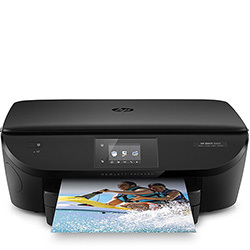 This is a great value printer for at home as well as small businesses. The number of features is almost unrivaled in its price brand and running costs are also low. The wide number of devices it can connect to make it a great choice whether you are a PC, Mac or smartphone user. A fantastic choice for all but the heaviest of usage. 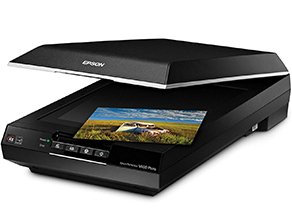 What makes this photo scanner & printer stand out is its border less feature. No more annoying white space! You can print glossy, high-definition photos that take up the entire page. It’s very affordable! As you can see in our report, this printer is not the lowest cost model of all of the ones in our top ten list. However, its impressive number of features are excellent for its cost. It boasts almost as many features as our pick but in the lowest five prices. It received its first, second and third ten ratings in only one day each. 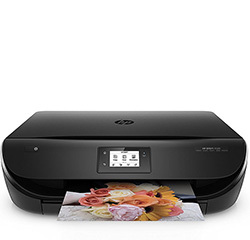 The border-less printing is also a unique feature for a printer at this low price and HP Instant Ink technology gets you up to 50% off ink to save you even more money. It is really quite incredible just how many features this printer packs in for the price, truly earning the title of the all-in-one. Features such as scanning, wireless and AirPrint, two-sided duplex printing and touchscreen are often only found in higher priced models. It is also one of the smallest of the jumbo scanners in our top photo scanners review. This number of features and numerous other small touches make for a fantastic, affordable, home printer. The resolution is not as high as some other printers on our list, but the 4800 x 1200 dpi should be ideal for most documents and old photos. One of the best features is the Borderless photo printing, meaning that you can scan and print all of your photos without unsightly white borders. So if you are thinking of doing some DIY party invites, this is the printer for you. Of course, printing right to the edge of the page does mean that you will be using extra ink -often the most costly and inconvenient aspect of running a printer. The amazing HP Instant Ink system will save you up to 50% on ink and will even order a new cartridge for you when you are getting low on ink. This is one of the best features for everyone who has had some last minute documents to print, only to find that their ink cartridges are completely dry. Set up is relatively easy and the free HP app will let you control everything from your phone as well as your desktop or laptop computer. In fact, the app and desktop software are both much more user-friendly than the awkward menu diving on the touchscreen display. One thing to be aware of is that the printer software comes on a CD-ROM, not ideal for anyone who does not have a disc drive on their computer. 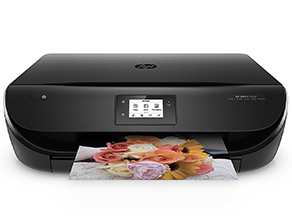 The software is available on HP’s website but this can be an inconvenient surprise if you are looking for a printer that you can use straight out of the box. This printer is packed full of features for its low price, more than any of the other budget models on our list. 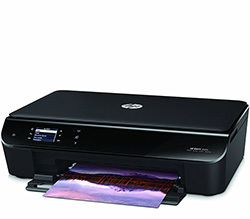 HP Instant Ink and double-sided printing are also great for saving you money on running costs. Set up is relatively easy but you will need a disc drive in order to use the CD-ROM. The touchscreen menu is also best avoided. Borderless printing makes this one of the best printers for making copies of old photos and slides. 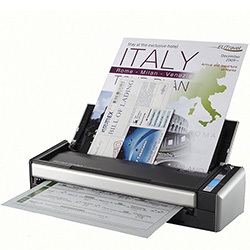 A bit more expensive, this excellent image & document scanner is the most durable we’ve tested. 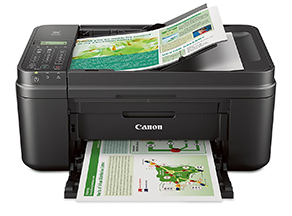 Heavy-duty & high-quality, you’ll have great scan & print outputs each time. A great investment for complex printing. This scanner is one of the most advanced scanners available on the market that is built for long-lasting performance. Built-in Transparency Unit and Digital Ice technology and an incredibly high resolution of 6400 x 9600 dpi create some of the highest quality images of any of our top ten. It is more expensive than our top pick but still falls into an affordable price range and has received ratings at a very good rate with first 10 ratings in 3 days, second 10 ratings in 12 days and third ten ratings in just 14 days. Of all of the products that we tested, none have had the durability and longevity of the V600. 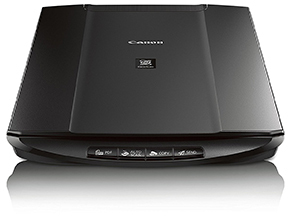 This is a scanner that is designed for even the heaviest of usage, suitable even for a professional usage. The two-year warranty is also a great comfort if you want a heavy-duty machine and are unsure about committing to a more advanced model. It has, according to our in-depth report, some of the highest number of features of all tested models. It is a little bigger than other flatbed models, but this is more than worth it for the quality that this machine delivers. Probably the most important feature of any scanner, the quality of scan on this model is probably the highest of any tested model. It not only has an outstanding resolution of 6400 dpi, it achieves this quality at high speed. The built-in Digital Ice editing software works incredibly well at removing dust marks and scratches from old photos, slides and negative, leaving one of the crispest and cleanest images possible. It also achieves rich and vibrant colors when scanning. It also had the highest success rate when creating editable texts with OCR of all of the models tested, being able to scan even the smallest of font sizes with great accuracy. This is the only scanner in our top ten that can easily scan negatives and slides along with photographs, with a very intuitive system. Sliding back the document mat reveals the transparency scanner. For those who are unsure about where to start scanning negatives, the scanner features a handy guide to help you position your slides. From their, the inbuilt AutoScan feature is one of the best I have seen, delivering accurate and rich scans with no additional effort on your part. Of course, if you want a particular effect, it is fairly easy to play with the settings to achieve your desired result. This is not necessarily a machine for beginners. Though the Autoscan facility is excellent, this is machine that is more geared towards the serious amateur, or even professionals. There is no Wi-Fi capability so you will need to make sure you will be able to connect it to a desktop or laptop, and mobile connectivity is not available. However, the great range of customization and technology for your slides and photos, as well as the wide range of scannable items, makes this model one of the best for anyone who wants to go beyond basic scanning. Suitable for anyone who has gone beyond the capabilities of ordinary scanners. This is the only model on our list that can scan slides and negatives along with photographs and documents, and does so with amazing accuracy and vibrancy. Why is this our multipurpose pick? If you’re looking of a handy scanner for your work area, then this is the one. It prints photographs of great quality with rich colors and clear details. It’s a bit slow, but for its output, it’s a great buy! 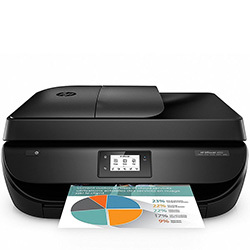 The same price as our top pick and with almost as many features, this all-rounder offers wireless printing, faxing and duplex printing (amongst others) and the Original HP 63 Ink cartridges will print up to twice the pages as refilled cartridges. Receiving its first 30 reviews in just 5 days, it is one of the fastest reviewed models on our list. 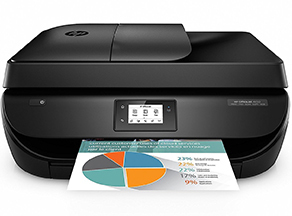 The HP OfficeJet 4650 is one of the most affordable options for such high-level features. If you are looking for a small workplace printer/scanner, the 4650 can handle a print volume of 100-400 prints per month, which would cover most small business needs. It is also packed with other useful features such as faxing and an automatic document feeder so you can just set it to go in the background, and duplex printing is easy and will save you a significant amount on paper and ink. Not the fastest model on our list, the resolution is very high, particularly for the price range as you will see in our report. Colors are rich and defined and text is clear and easy to read. Whilst it is definitely worth sacrificing some speed for quality, it is worth bearing this in mind if you have a high demand for fast prints. The duplex printing facility also slowed the print speed considerably so make sure you put some time aside if you want to print double-sided. For those who mainly want to print photographs, the quality of the print and smaller size of the photo paper should mean that this printer is more than equipped for your needs. Set up is as simple as removing a tab, inserting your ink and scanning an alignment page. It is not only simple but it is fast, meaning this printer is pretty much easy to go out of the box. Setting up the fax feature is a little more complicated, and only works on PC, but is just a case of downloading a small file and installing it. If you have an Android phone, the free HP app allows you to print from and scan straight to your phone. This is particularly handy if you are looking to share your photos on the social media, or if you want to print photos you have taken on your phone for a nice memento. One of the most intuitive setups and a great number of features makes this a great choice for anyone looking for a low maintenance all-rounder. It can multitask very well and the high print quality more than makes up for a slightly slow print speed. Why is this our professionals pick? Fast-printing, high quality, and built for heavy usage, this Fujitsu scanner and printer impressed us with its many advanced features. Best for businesses and home offices, it also offers high-tech software for its small size. Built for heavy usage, this cutting-edge model makes it more than worth its price. Though it is the most expensive model on our list, anyone looking for a scanner that will be suitable for a medium to large business will find that this model is cutting-edge and of the highest quality. It is receiving ratings at an incredibly fast rate thanks to its high speed and stylish design. This is undoubtedly the hardest hitting machine on our list. It is built for heavy usage and will deliver high quality scans no matter how often you use it. This is by far the fastest machine that we have reviewed, handling up to 50 pages at a time with ease. This is not a model that is designed for scanning your holiday snaps, rather it is built for continuous and heavy-usage. Automatically recognizing the orientation, size, and format of your scan, this model does not sacrifice quality for speed either. Duplex scanning is a given but it also offers much more. With the ability to re-orientate any misplaced pages, remove any blank pages for efficiency, and even crop images to their original size, it is probably the most efficient model on the market in its price range. It can even extract and store information from receipts and business cards, making it an invaluable time saver for any business. Though this scanner is not specifically designed for scanning photographs, it does a good job when required. The resolution of photos is fairly good but, if this is the majority of your scanning needs, you might prefer to look at a machine tailored to this task as this model is geared towards text-based documents. Amazingly, for such an advanced machine, it is incredibly compact. It takes up little space on a desk in an office, or even at home for the dedicated scanner. Its size also allows it to scan all the usual paper sizes, as well as more unusual items such as business and credit cards. It can even scan paper rolls up to 34 inches long, making receipts a pleasure to scan instead of the pain they often are. Again, photographs are not really what this machine is designed in mind for, but it does a reasonable job with photos of all sizes. As you might expect from a machine designed with professional capacity rather than at home convenience in mind, the connectivity options are a little lower on this model than some others. There is no mobile support for your Android device, though cloud storage capabilities can be a neat workaround for this. Ultimately, it is designed with the office in mind rather than social media and it really does excel in this area. This is a model more suited for the professional than the amateur scanning enthusiast. Small and convenient, it should suit most home-office or small businesses, making work easier and simpler. Avoid if you are just looking for something to scan old photos, but it is great value for anyone looking to step up their scanning game. Need a personal scanner that scans and prints without any trouble? 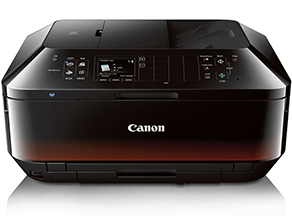 The Canon LiDE120 is perfect for home use. It’s best for light workload but it can still print high-res images. The LiDE120 was rated one of the easiest to use of all of the tested products, with single button sharing to Dropbox and Evernote. Simple and easy to use as well as being small enough to fit on your desk. It is also very popular, receiving its first 30 ratings at an amazingly fast rate. This is the first flatbed scanner on our list and is perfect for a beginner or anyone who is only looking for a scanner without any frills. Measuring only 1.6 by 9.9 by 14.6 inches (HWD) and with a weight of 3.4 pounds, it fits pretty neatly in any space you have available. It is ideal if you want a scanner for occasional usage that can be stashed in a closet or on a shelf. This is really a scanner that is meant for personal use. There is no automatic loading for multipage documents and it will not scan film or negatives. It can be time-consuming if you have multiple images that need to be scanned but, for most personal use, the LiDE120 is more than sufficient. The AutoS-can feature handles almost every type of image with relative ease and, if you do want to tweak the settings, this is fairly simple as well. With one of the highest resolutions of the low-cost scanners available, this scanner produces a nice and clean image. It also picks up color very well, even shades and hues that other scanners in this price band might miss. There are also some useful features such as dust and scratch removal, which works very well at cleaning up old photographs. If you are looking to scan some of your old family photos, this is a nice touch that can make your photos social media ready with no extra effort. One of the most useful features in the scan utility is the built-in optical character recognition (OCR). Not only will this allow you to create searchable PDF files, you can even scan to editable text format. This is a brilliant and convenient feature if you want to type directly onto a form to be printed or emailed. For a scanner in this price range, this is an incredibly useful feature that really makes it stand out from other lower priced models. This scanner is the best product for anyone who is simply looking to scan single pages or family snap-shots into a digitized format. If you don’t know your PC from your Mac and don’t need any extra features, this is a convenient and simple model that scans a high-quality image. It doesn’t have the most advanced features but it delivers good quality printing & scanning each time. Best for college students and home use. It also supports WiFi & AirPrint! This is actually the cheapest model on our list, but don’t let the low price fool you. This small all-in-one boasts an impressive number of features for its size and price. The MX492 is equipped for wi-fi and mobile printing so you can scan your documents straight onto your device, which is pretty handy if you just want to upload your old photos to social media. At 8.8 black and white pages per minute, this printer is not as speedy as some other models on our list. The MX492 may not be the best model if you are regularly printing multipage documents. 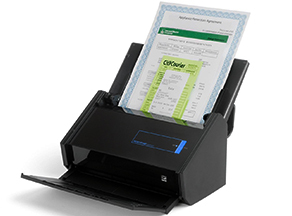 The auto document feeder can handle up to twenty pages at a time which is sufficient for most at-home usage, but be aware that you won’t be able to just press and go if you need anything longer. For this who have browsed our report, you will see that the resolution of 4800 x 1200 dpi is pretty middle of the road for a printer of this size. It might not produce the vibrant colors needed for a poser or leaflet, but will create a clear print of all of your old family photos. This is one of the smallest Jumbo scanners on our list. It will fit fairly neatly on most desks which, if you are in a college dorm or have a small home office, makes this printer one of the best for occasional jobs. This printer is not the most advanced on our list and is only suited for home use. Its size makes it ideal for fitting on your desk at home and its low price is great for anyone on a budget. If you are a college student looking for a simple all-in-one, the MX492 will not take up too much of your space or money. This is the kind of scanner and printer that you need if you need to print a lot of documents fast. It also supports all kinds of connectivity options so you can always print whenever you need to! The HP Envy 5660 is one of the pricier all-in-ones on our list. However, if you check our report, you will see that it has the second highest number of features of our top ten products. 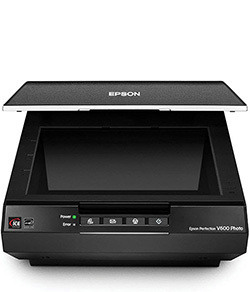 If you are looking for a scanner in the $100 range, this model is one of the higher spec options available. One of the areas that the 5660 really excels in is the sheer number of options available to share and print images and documents. Almost uniquely in this price band, you can also scan directly onto a memory card, which is great for storing your images ready for editing. A stand out feature for a model in this price range is the support for mobile printing. Cloud sharing lets you effortlessly share from any smartphone running Android or iOS with the HP app installed. This makes printing directly from websites simple and intuitive. For all of you who are currently reading this top photo scanners review on a smartphone, you could print the page without having to boot up your desktop. For documents, the 5660 can be a little on the sluggish side. However, the separate tray for photo paper is a pretty neat feature that will let you switch between documents and photos without having to change your setup. If you are looking for a printer that can handle office duties such as documents and powerpoint handouts, the resolution is fairly low. The photo print quality is also at the lower end of our selection but is as good as any drugstore prints and ready at an impressive speed. Making up for a slightly low resolution with speed and convenience of photo printing, the 5660 is great for at-home usage. 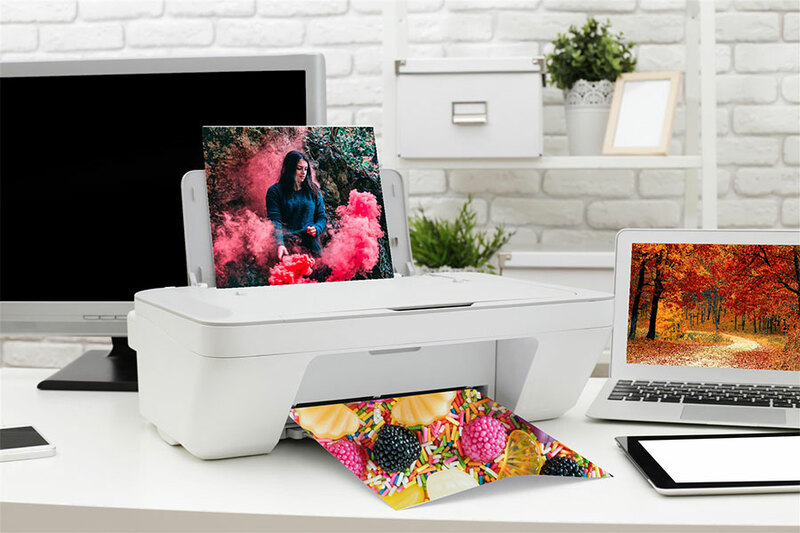 The excellent connectivity also makes printing and scanning incredibly easy whether you are on PC, Mac, or mobile. This is one of the most convenient on our review list. It’s great for small spaces like college dorms & tiny offices. It comes with ink cartridges that can last a long time! If you liked the look of the HP Envy 5660 but don’t see the need for all of the bells and whistles, the 4500 is a great pared-down option. Still Wi-Fi enabled but without any slot for a memory card, the little brother of the 5660 is still convenient to use from a desktop, laptop or a mobile. If you are looking for something that is simply set up and ready to go, the 4500 is still well-connected enough for almost all everyday usage. With a lower-end resolution than our more advanced models, you will be able to see from our report that the 4500 still holds its own regarding printing. Printing speed is also fairly average, but more than sufficient for the at-home printer. One of the best features of the 4500 is its design. Small and sleek, it is unobtrusive (dare I even say, quite attractive) left on a desk. Most importantly, its simple design makes it one of the lowest maintenance of all of the jumbo scanners that we tested. The tricolor ink cartridges are also great for those with busy lives. Changing one cartridge will refill all of your colors so there’s no need to work out which color is running low. There are also XL cartridges available which can last a long time for the occasional printer. This is very convenient, particularly if you always make sure to keep a spare in stock, but can result in some wastage. So if you know that you use cyan more than magenta, the extra maintenance of another printer could be worth the trade-off. A simple and easy to use all-in-one, the 4500 holds many of the advantages of the 5660 but without the price tag. Its small and simple size makes it convenient for students and small home-offices. Although it doesn’t have the best quality and has little connectivity options, this portable scanner can easily fit inside any laptop bag. Great if you’re always on the go! The Fujitsu ScanSnap S1300i is one of the highest rated scanners in our report and it is easy to see why. Neither a flatbed or a jumbo design, this scanner is small enough to fit in any laptop bag. The only portable model on our list, it makes scanning an easy option wherever you are. Though there is no option for mobile printing, the mobile nature of the scanner means that Wi-Fi connectivity is more than sufficient. You can easily carry this scanner around along with your other devices and scan quickly and simply to either PC or Mac. The resolution is not the highest, as you might expect from a portable model, but it is more than sufficient for scanning a form or photo. With OCR technology, it can even scan editable text files, which is incredibly convenient for forms or even business cards, both of which it handles very well. A little slower than some other models, there is some trade-off for this scanner’s portable size. The document feeder tray works well but can only hold up 20 pages at a time. This is not really a scanner that is designed for lots of multipage documents. It is great for scanning small numbers of documents on the go and, as we said above, it does the very well. Ultimately, the scanner may lose a few marks for speed but it is certainly quicker than having to go to another building just to find a scanner. A pretty worthwhile trade-off of speed for convenience. Slower speeds than static models. Sacrificing some speed and quality for portability, the S1300i is a great choice for anyone who needs to do small amounts of scanning on the move. Convenient and low-maintenance, it can accompany you everywhere for whenever you are ready to scan. An unusual but very useful model. Just like any other machine, scanners need maintenance. The frequency and difficulty will depend on the model you choose, so make sure that you really think about the time and effort you want to put into maintaining your scanner when you are making your decision. To keep your scanner working at its best, follow our simple guide for care and maintenance. It is vital that you keep your scanner dust free. A quick cleaning once a week should be more than sufficient for most models on our list. If you have a flatbed scanner, a quick wipe down with a damp microfibre cloth will be enough to keep your scanner glass clean and smudge free. Avoid using cleaners that contain harsh chemicals, such as benzene, acetone and ammonia, because this can degrade the glass. A jumbo scanner that includes a printer requires some extra maintenance, though nothing that is too taxing. If you have purchased an all-in-one scanner and printer, make sure you check and change your ink regularly. If your model has an automatic document feeder, make sure you check for any improper feeding and listen for any squeaking. If you are ever in any doubt, contact your manufacturer, particularly if your machine is still under warranty. A well-maintained scanner can last you for many years and a quick clean down once a week will be more than sufficient for most models to operate at their best for their entire lifespan. If you have been feeling overwhelmed by the hundreds of photo scanners available on the market, having some basic knowledge can really help you to make a decision. If you read our top photo scanners review you will be able to choose the right scanner for your own needs. Here at Stuffoholics, our goal is to ensure that you are well-informed about the functions of photo scanners, whether you have a stack of old photos, slides or documents, so that you can make a decision that works for you. If you haven’t done so already, check out our report to see our comparisons and make sure you read all of our reviews to find your best photo scanner today.